When William Paulding moved to the Hudson River Valley in 1842, the former mayor of New York City was in good company. Wealthy people were leaving the increasingly dirty and congested city in droves. In the bucolic countryside just north of Manhattan, they built fashionable villas in the orderly and symmetrical architectural styles of the time: Neoclassical, Federal, or Georgian. Paulding chose to build a home that would set him apart from his peers. 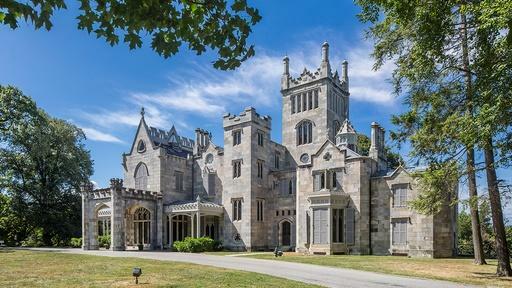 Searching to connect to the land and to express his individualism, Paulding radically departed from post-Colonial design mores and hired architect A. J. Davis to design an extravagant mansion in the fanciful style of a Gothic Revival castle. Paulding and Davis were influenced by Romanticism - a set of ideas that had emerged in Europe during the last several decades. Romanticism prized complexity, lavishness, exoticism, connection with nature, and over all, individual expression. Romanticism departed from the philosophical ideals of the Enlightenment, which had dominated the eighteenth century and valued objectivity and reason. And	what better style to embody these new ideas than Gothic Revival: an aesthetic associated in Europe with elaborate churches (and a favorite of Queen Victoria, who ascended the British throne in 1837). Rather than strictly following the European model of Gothic Revival for Paulding's home, Davis adapted the style to American tastes, with a distinctly non-traditional porch and an irregular shape that extended into the landscape. While shocking at first, Davis’ designs inspired American Gothic mansions and cottages for decades to come. By the time railroad magnate Jay Gould purchased the home as a summer home in 1880, the Gothic Revival movement, which once seemed radical, had become mainstream. Explore the official Lyndhurst site. Take a virtual tour of Lyndhurst Mansion. Explore architecture of the Hudson River Valley. Plan a visit to Lyndhurst Mansion. 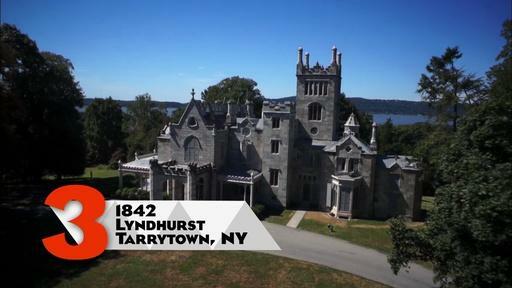 Lyndhurst was the home of a former mayor of New York City and an influential Gothic Revival mansion.